The Knitting Pirate » In Which the Pirate Has Pictures. « In Which the Pirate Finally Spins. In Which the Pirate Has Pictures. 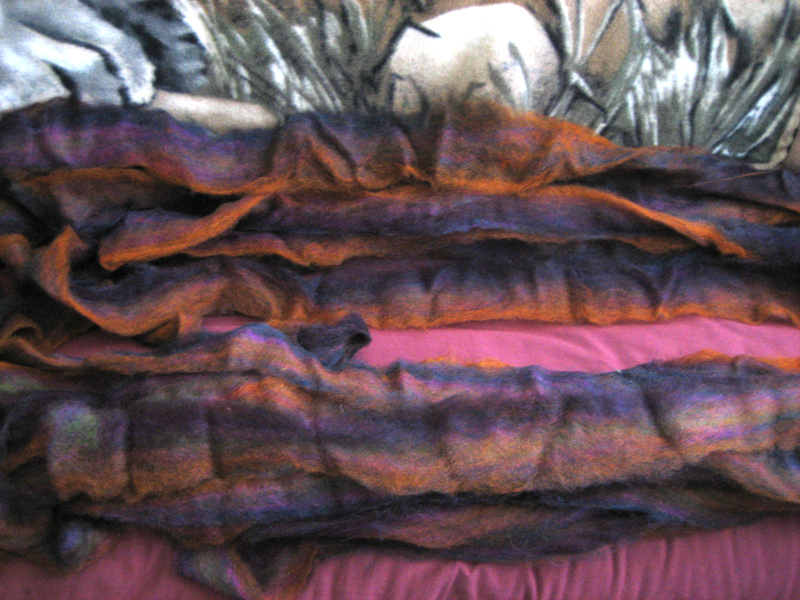 First, I unrolled everything and laid it all out on the futon. Pirate-Husband came in at this point and said "Oh, pretty!" I took that as a good sign, because I'd been about to stop after that small accomplishment. 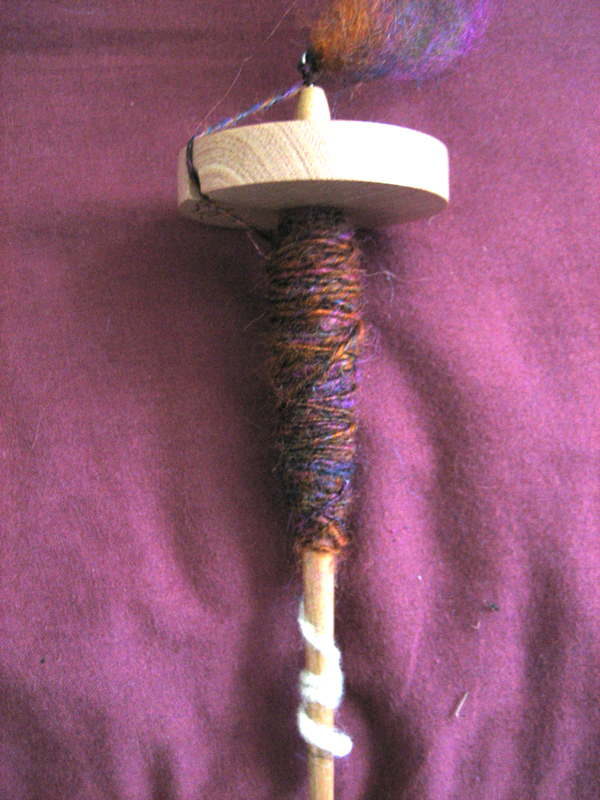 Bravely I took my spindle in hand... then realized that I needed my hands to get some fiber, and put it down again. Really, this would be so much easier with more hands. 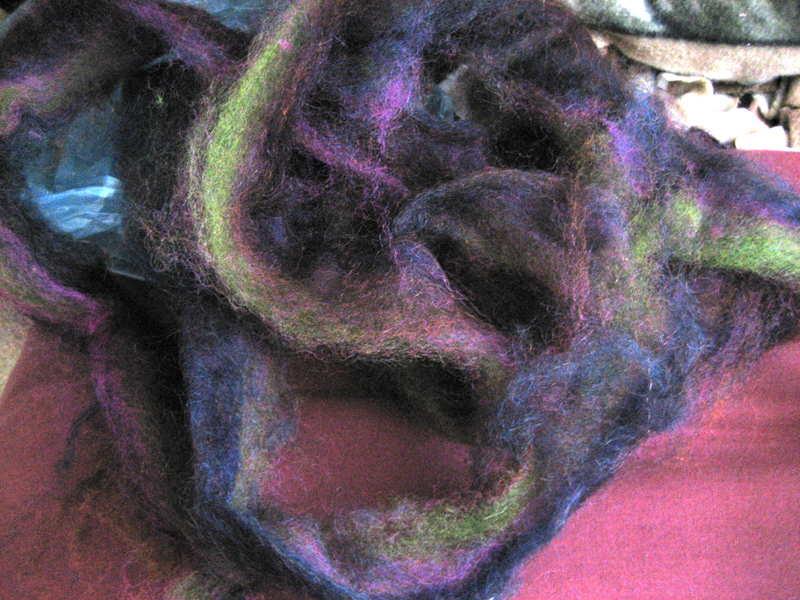 Then, I pulled the orange and magenta off one section of roving and spun it. Some blue got in there; I wasn't being too careful. I thought if it was the pure orange, it would be too bright on its own. I may try to be more careful about that for the rest of it - and there's an awful lot left to go. At one point I think I must have put too much twist in or pulled it too tightly, because it snapped, but I recovered by floofling up the snapped end and just going on from there. If I have to toss a few tangled bits, such is life. This entry was posted on Saturday, September 29th, 2007 at 09:43 and is filed under spinning. You can follow any responses to this entry through the RSS 2.0 feed. Both comments and pings are currently closed.